„World Luxury Hotel Awards is one of the biggest and valued hotel award ceremonies in the world. It is truly an honor to be one of the selected nominees and winners and we thank everybody who has voted for us! The number of new hotels is getting bigger every year which means year after year the competition gets tougher. Newly built and fully equipped fresh hotels have a lot of advantages compared to hotels that have been operating many years. We are really glad that regardless of this we are still recognized by our guests all over the world,“ says Liina Selgmäe, Director of Sales and Marketing of Swissôtel Tallinn. 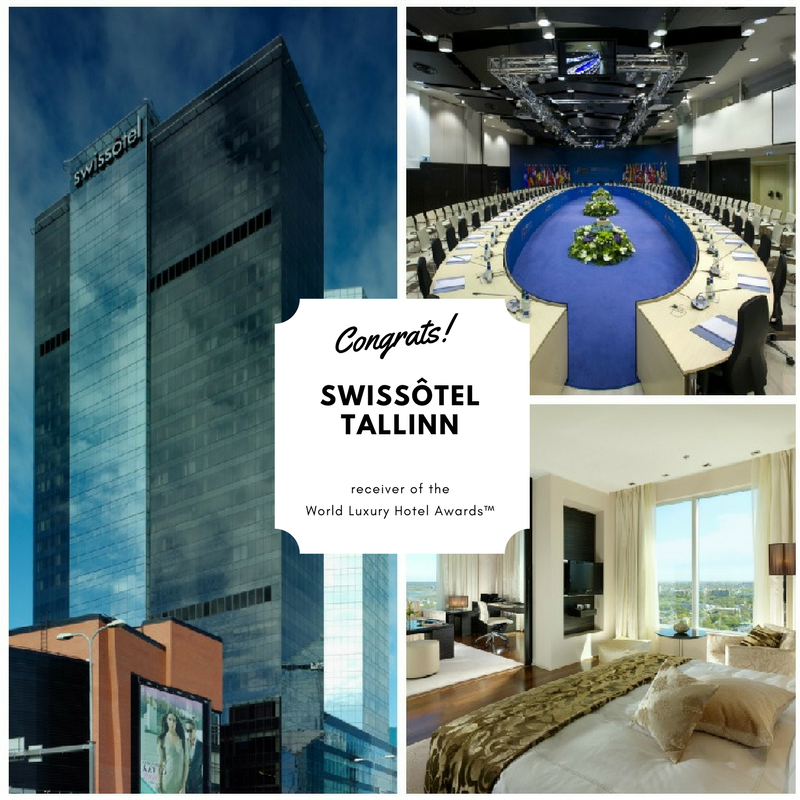 „Swissôtel Tallinn celebrates its 10th anniversary on December, so two new titles from World Luxury Hotel Awards are the best birthday gifts for us,“ says Selgmäe. Established in 2006, World Luxury Hotel Awards is the pinnacle of achievement in the luxury hotel industry offering international recognition as voted by guests, travelers and industry players alike. Setting the basis for service industry standards around the globe, the World Luxury Hotel Awards provides true recognition to luxury hotels and resorts in their relevant categories during its annual voting phase. Over 300,000 votes were tallied this year from travelers and guests of these luxury establishments during the voting phase. Properties from over 120 countries competed in the 2017 awards. Swissôtel Tallinn is a luxury hotel with 238 guestrooms and suites set amidst the business district of Tallinn, boasting unrivaled postcard panoramic views across the UNESCO listed Old Town and the Baltic Sea. Only 10 minutes away from the Airport and in walking distance to all hotspots of the city, Swissôtel Tallinn offers excellent accommodation, a wealth of facilities including two restaurants, three bars, the largest ballroom in Estonia as well as the Pürovel Spa &amp; Sports Centre for relaxation and a wide range of treatments.